Liz's Paper Loft: MCT Made In Minutes ~ love! Hellooo :), today is Made in Minutes over at My Creative Time and I have two quick projects to share with you! I quickly cut two "Heart 2 Heart" dies, one in silver glitter and one in red glitter. Then added a bit of a non permanent adhesive. It's sort of a "v", right! Then for my 2nd project I die cut the 3 hearts in red glitter, pink glitter and gold paper. I then randomly sewed them together to make a banner. So LOVING your projects Liz!!! AWESOME job with both!!!! Liz ~ Oh now this is super duper CELVER!!! 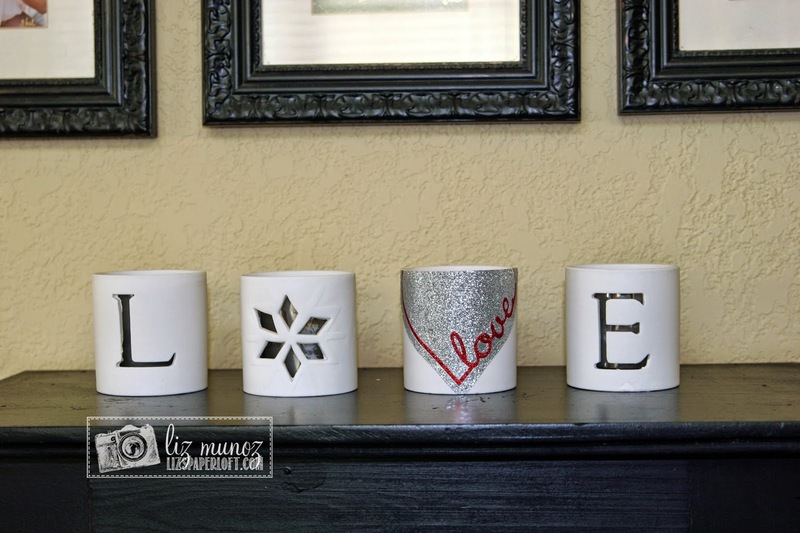 LVOE how you just changed to votives around and then decorated the one with "LOVE"!!! 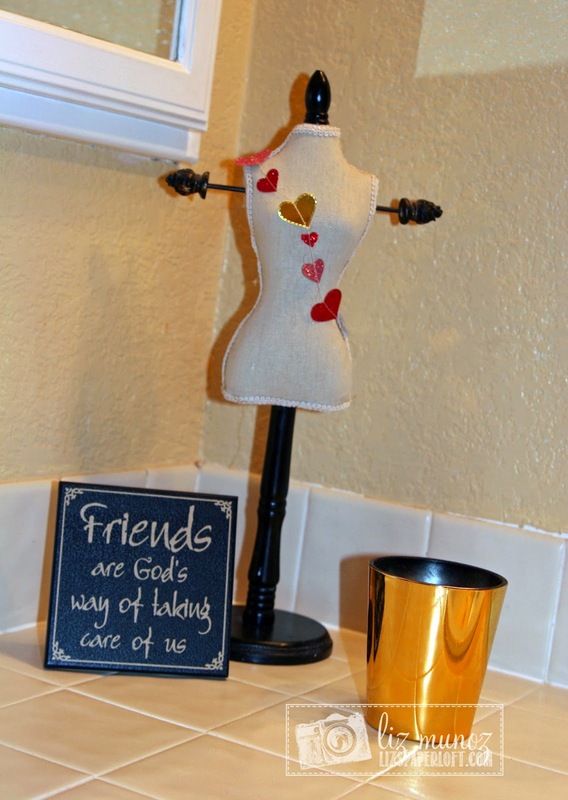 Then your little banner on your home décor project ~ EEK! FABULOUS ideas always! 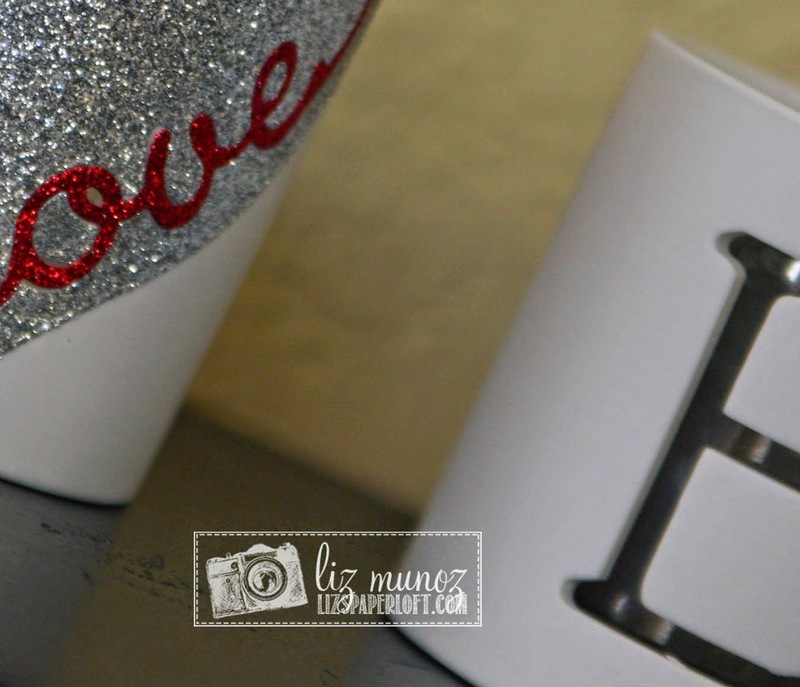 Fun way to turn a Xmas project into a Valentines projects. I love the heart sash too. Love your projects. The banner is great to decorate your mini dress form. 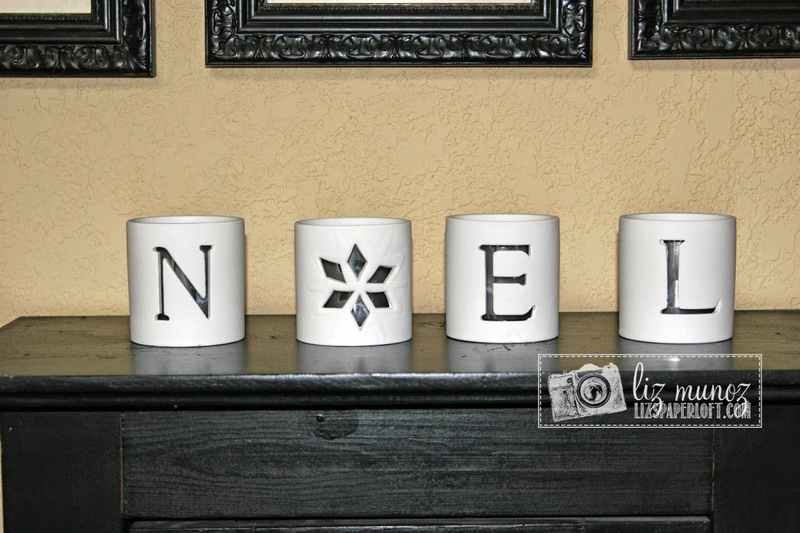 So clever to use the heart as a V and to use them on votives that already had 3 of the 4 letters. Now they have a duel season purpose! Fabulous job. Omg, how creative Liz! I love the votive's and the dress form looks amazing! The banner is so fun:) Way to think outside the box! Very cool!